A new real estate investment trust (REIT), White Oak Healthcare REIT, is looking to invest $500 million in a mix of senior living and skilled nursing assets. That will equate to about $1.5 billion with leverage factored in, Jeff Erhardt, managing director and chief investment officer of the REIT, told Senior Housing News. The privately held, non-traded REIT is 100% owned by White Oak Healthcare Finance, an affiliate of White Oak Global Advisors. The San Francisco-based firm is a global alternative asset manager. It funded more than $2.5 billion in loans last year. In December 2018, White Oak Healthcare Finance acquired a $700 million portfolio of 12 skilled nursing and senior housing loans. Erhardt is joined by Paul Nevala, Mike Treiber and John Brussard in leading the new investment platform. Previously, this team founded Capital Healthcare Investments, a subsidiary of publicly traded MTGM Investment Corp. MTGM was acquired last fall by Annaly Capital Management (NYSE: NLY) for $900 million in cash and stock. With Capital Healthcare Investments, Erhardt and his colleagues created a portfolio of about $300 million in assets over a nearly two-year period. But the team’s history goes back even further: They worked together for 12 years at GE Capital, Healthcare Financial Services. There, Erhardt was the head of the health care real estate equity platform, Nevala was head of long-term care investment research, and Treiber underwrote and managed health care real estate equity and debt deals, according to a press release issued Tuesday. All this experience gives them a good read on the senior housing and skilled nursing markets, where they see opportunities despite current headwinds, Erhardt told SHN. About half of White Oak Healthcare REIT’s initial investments will be in the private-pay senior living sector, with the remainder going toward skilled nursing, Erhardt said. On the senior living side, the team is aiming to acquire both stabilized and value-add properties with a mix of triple-net leases and RIDEA joint ventures. There is no specific geography being targeted, but the team historically has had success by creating a largely stabilized portfolio with regional operating partners, Erhardt noted. The REIT does not have a strong preference for triple-net or RIDEA, but will consider the specific properties and preferences of the operator on a deal by deal basis, according to Erhardt. If a deal is structured on a triple-net basis, it will be important to put in reasonable escalators, Erhardt said, and the White Oak team likes to work with operators who want to incrementally grow their portfolio over time. Having officially formed a week ago, the REIT has not yet completed any acquisitions but has been out on the market to start building a pipeline and is looking at initial investments. It’s also too soon to name any particular potential operating partners, although the team does have relationships with a “strong stable” of operators, Erhardt said. The White Oak team is aware of the new senior housing supply that has flooded certain markets in recent years, as well as the labor pressures that operators face due to low unemployment rates, a caregiver shortage and rising wages. White Oak Healthcare REIT is also entering the senior housing market at a time when valuations have soared, largely pricing out the large, publicly traded REITs. 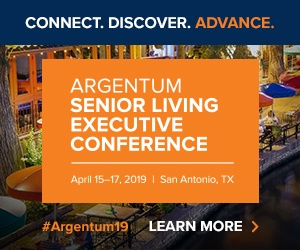 These headwinds put a premium on choosing the right market, underwriting a deal correctly, and selecting the right operating partners, Erhardt said — emphasizing that the demographics are undeniably in favor of senior housing. “When all is said and done, if you buy the asset right, with the right operator partner, over the long term it’s going to be a pretty attractive place to put the capital,” Erhardt said. It’s still too early to consider whether the REIT might ultimately be taken public or if there will be a re-capitalization or some other exit, Erhardt said. For now, he and his colleagues are focused on creating a diversified portfolio and are in no rush. “We’re certainly in this for the long haul,” he said.